Great update projects to work on around your railway as the Sun set sets earlier and the heat of long summer days fade. Whether it’s because working in sheds and lofts where many railways live is unbearable in the August heat, because we’re occupied keeping the kids entertained on their summer break or simply because we’re on our own holidays, modelling often takes back seat in July and August. But with Autumn now officially here, temperatures falling and the holidays over, we can now start to think about our train sets again. But what to do in the coming months? 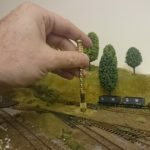 If your layout has manually operated points you’re missing out. Adding point motors and the switches to control them makes operating a layout way more fun and entertaining. Watching a train heading towards a point and being able to just flick a switch rather than leaning over to manually change it changes the whole dynamic of operating your layout. And you needn’t stop there. There have been some great developments in signalling over the last few years with fully working — and incredibly realistic functioning— semaphore signals now available. Watching signals actually change their position still tickles me, it makes the whole layout more credible. Yep, having electrically switched points and working signals will take a layout up a level for enjoyment. Surface mount point motors can be fitted without too much disruption to your track and don’t require much in the way of extra equipment or cost: the motors themselves, a power supply and switches. And while fitting signals needs a little more work it’s nothing too complex and certainly worth doing given the benefits. 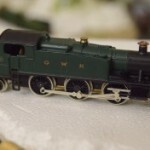 If you visit model railway exhibitions you’ll notice that while many people watch the trains operating it’s something else that keeps most people looking and sparks interest. Small scenes telling a story — diorama’s — will work wonders. A cat on a signal box window ledge, a car crash in a country lane or a couple catching a secret kiss in a doorway lend your layout a touch of realism, making it more compelling, enjoyable and bringing it to life. Best of all, adding them is no harder than making normal scenery or buildings and just requires a little imagination. Take a look around any street and make a note of the small events you see unfolding around you and create them in miniature. See A tip from award winning layouts for more ideas. 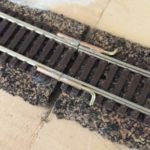 Make the leap and transform your DC/Analogue layout into whole new model railway by upgrading it to digital. Not only will this give you many more options for the control of your trains and open up whole new possibilities for onboard train effects and if you model railways to keep mentally active it’ll give you a whole you field to learn. For a small to medium sized set up this isn’t difficult once you understand the basics of DCC and is actually easier than you might imagine. To get started in DCC, I whole heatedly recommend Digital Command Control: The Definitive Guide, one of the books that taught me how to make model railways. 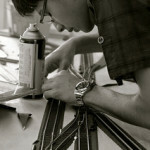 One thing is certain about model railways, they get better as we learn more. When I look back at my first model railways it’s quite depressing how bad they were but then I was only young and only just starting. 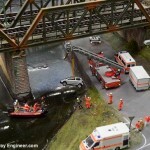 Although all elements of model railways are like this it’s never truer than for scenery. 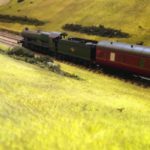 Not only will your hills, fields, tress and rivers look with better the second time around the materials used for them naturally fades and ages over time so just refreshing them will give your model railway a make-over. Think how different your trains will look making their way through glorious scenes of red, brown and gold scenery! If, by the way, you use one of the ideas covered in what Lego can teach railway modellers, scenery changes will be a lot easier. Briefly, when making your railway, place scenery areas on a sheet of plywood and pin this to the baseboard. When you then want to change scenery it’s just a case of pulling up the scenery plywood rather than working on areas in the middle of your layout. 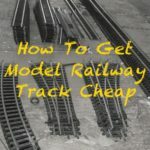 And if you’re already inspired but need some help here’s a round up of some of my posts on model railway building basics. 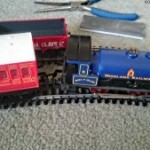 Finally, if you are struggling for motivation, take a look at my Model Railway Engineer’s Instagram feed with pictures of some the best model railways for inspiration, it’s also available here if you don’t have Instagram. Picture credit: thales, shared under creative commons license.